Luxurious family breaks or holidays in London can be made unforgettable by living in a serviced apartment like, Carlton Court. Our arsenal of well-furnished self-catering flats allows guests to do anything they please, when they please. Such flexibility is especially required when travelling with mischievous kids. Perfectly positioned in the heart of London’s golden quarter, Mayfair, our flats are in close proximity to all the major tourist attractions including Hyde Park and the Buckingham Palace. Our family-friendly serviced apartments boast of much more space than what any hotel room in London can offer. This makes our apartments the preferred choice for a family break. By renting our 1, 2 or 3 bedroom Mayfair serviced apartment, you will be able to enjoy the entire apartment with your family. Moreover, we are providing you with an affordable family deal by saving you the trouble of having to book separate rooms. Also, with more space for everyone to spread out and unwind, it will make your London visit relaxing. Our fully-equipped kitchen is going to largely benefit you, especially if you are travelling with fussy kids and the elderly having strict dietary requirements. You can cook sumptuous family meals in our kitchen instead of dining out. If you need help locating a grocery store nearby, you can avail our helpful concierge services. If you choose to stay with Carlton Court during your family holiday in London, you are guaranteed to enjoy complete peace of mind. Our serviced apartments are situated in the city’s most safe neighbourhood, Mayfair and are under 24/7 CCTV surveillance. So, there is no need to worry about yours or your family’s safety when living in any one of our apartments. 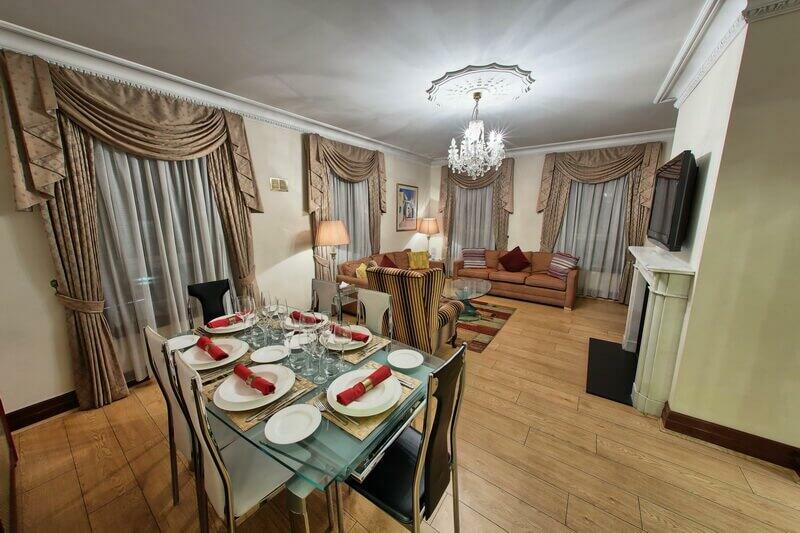 Stay with Carlton Court to make your London family vacation memorable. Our apartments can be rented for both short and long term stays. For tariff rates and booking details, do not hesitate to get in touch.